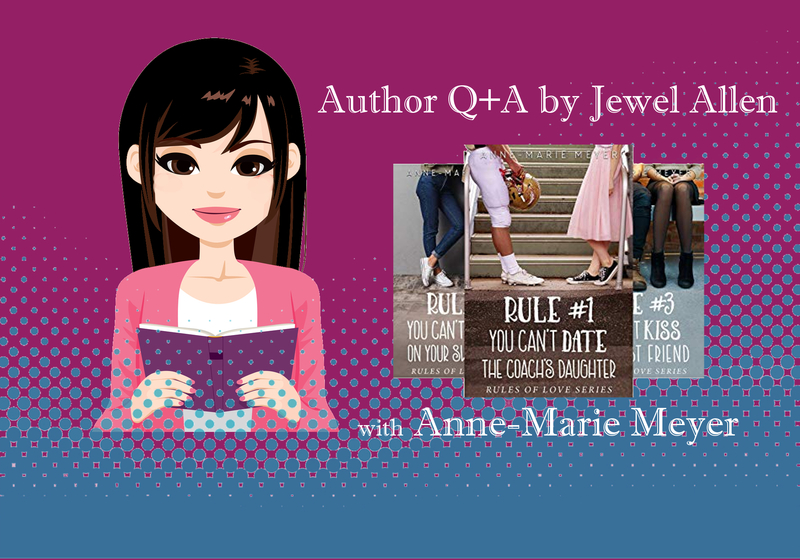 Anne-Marie Meyer is the bestselling author of sweet adult and YA romances. She lives south of the Twin Cities in MN, spending her days with her knight in shining armor, four princes, and a baby princess. When she’s not running after her kids, she’s dreaming up romantic stories. She loves to take her favorite moments in the books and movies she loves and tries to figure out a way to make them new and fresh. She is one of four sweet romance authors who form The Writing Gals, a popular Facebook group and Youtube channel. Today, she will let us take a peek into her writing routine, how she stays prolific, and some tips of the trade on how she’s achieved a six-figure income as an indie author. Q. I was curious as to how your morning’s been. Give me a peek into Anne-Marie’s writing world. A. Well, I get up with my kids. Get them on the bus. My one son goes to preschool and my baby girl hangs out at home with mom and dad. My husband is self-employed as well so he works in the morning while I get kids ready and then once everyone is where they need to be, I go upstairs and start working. While he takes care of the baby girl. Q. Wow, so they are fairly young still. When did you start this author journey? A. I started writing in 2012 but didn’t publish my first book until 2017. And that really wasn’t until August of 2017 that I started publishing to market books. I haven’t stopped publishing since then. Q. No kidding. Did you always know you would be an author? A. Nope. I wanted to be a nurse. Q. So what brought you down the writing path instead? A. I got all my credits ready but didn’t get into a school. After I got pregnant with my second boy, I decided to stay home. I actually wrote the goal to Write and Publish a novel as one of my life goals when I was a kid. When I was pregnant with my third son, I decided it was time to cross that off my list. I’ve always loved stories though. Q. You have five kids, right? A. Yep, 4 boys and 1 girl, ages range from 2-12. Q. Cool. And how many book babies do you have? A. Oh, man, I have almost 20 I think. Q. What are some milestones or goals you have reached since publishing in 2017? A. I became a six-figure author in 2018 and I’ve been hitting a monthly $20K+ income since August 2018. I’m presenting at Storymakers and RWA, plus I’m the keynote speaker at the Nebraska conference. Q. Wow, that is amazing. You have chronicled your success on your wonderful podcast The Writing Gals. For the sake of our readers, can you summarize what was the turning point for you in your writing career? A. Really, it was being intentional from the start. Learning how to write things I love in a market that’s hot. I also think creating a group where you share what works and doesn’t work has been really helpful. The Writing Gals are all about testing. It’s really nice. Q. So was your first to market series your clean billionaire romance series? How did you prepare to write that? A. Yep. It was my billionaire romance series. I’ve always loved romance so I really kind of just started writing it. (Fellow Writing Gal) Victorine Lieske did help read it along the way, but by then, I’d learned how to write a story because I’d been writing and rewriting for a few years before that. I have a book that will never see the light of day (maybe) that I learned how to write on. Q. And now you write Young Adult. It’s been fascinating to watch your success in that field. A. Yep. I LOVE YA. Q. I can tell. How come? A. I love writing in first person and getting into their heads is so fun. Q. Well, you aren’t that much older than YA, really. A. True. But with 5 kids, I feel that way. Q. You have hit bestseller status several times, correct? What have you learned writing in the YA vs. adult market? A. It’s easier to hit best seller because there are more categories and people release less. My most successful book is a YA book. It’s been out since August and just now dropped into #5000 rank. Q. Which book was the most successful? Q. And the rule was…? A. You can’t date the coach’s daughter. Q. So tell me about that for a minute. What kind of marketing have you done for that book? What worked? A. I released that book the same time Netflix released To All the Boys I’ve Loved Before. Which I think was what helped it do so well. It actually didn’t get too high when I first released it and then it kind of hung out in the #1000 and then started climbing on its own. Because I unknowingly hijacked the launch of To All the Boys. Q. I can see that. A. I rapidly released the first 3 books in that series. Which helped a lot. Q. And when you say rapid released, how frequently? A. I released them about 3 weeks apart. I’ve been using FB ads and AMS ads to keep it high. Q. Can you share some advertising numbers of what it takes to keep it high? A. So right now, I’m spending about $50 a day to keep it in #5000 and I’m banking on the read-through there. Which is pretty decent. Q. A read-through of how many in that series? A. I have 4 books but #4 is a Christmas novella. But it still does really well. Nice thing about YA, you can catch a lot more readers than just adult. I also sell about 2-3 paperbacks a day and a lot of audio books as well. Q. Tell me a bit about your writing process. How do you stay so prolific? A. So, I try to write 3,000 words a day. I do about 1,000 every 20 minutes. Q. Yeah, I know. I have sprinted with you before. Amazing. How were you before and what changed? A. I did not start out that way though. I would do about 500 in a twenty minutes. I’ve just slowly increased with each sprint. I think writing a little faster and faster each time helps. Also, trusting yourself and the story. If I can’t get the words to flow, it’s normally because I’ve written myself into a block. Q. I have beta read for you before, literally a day after you announced finishing your manuscript, and it was super clean. What helps you draft clean? A. I think it’s writing and getting beta read along the way. That’s really helpful for me to have someone critique my first few chapters. That’s where I normally will go wrong. After that, it’s just making sure the romance is up and the tension is strong. Q. Having read your books before, I think you excel at keeping that tension in a clean romance. Any specific tips of what adds that swoon and keeps it throughout a book? A. I always try to put them in fun, awkward, or tense situations. If I’m bored when I’m writing, then my readers will be bored. I also love movies and that helps refill my creative buckets. Which I think are really good for fast paced stories and dialogue. Q. That is a great idea, about the movies. Do you watch movies regularly? A. Oh yeah. It’s what the hubs and I do on a date. Q. On the average, how long are your books? YA? Adult? A. 50K. If it’s a novella, it’s about 40K. Q. Which begs the question, how do you balance having a young family and produce the books you do? Plus all your other publishing ventures (which I will ask about in a minute). A. My hubby is home with helps a lot. He takes up a lot of the household responsibilities. I have a great team of content editors, line editors, and proofers who can turn around my book in a week. I also have a gym membership and go there a lot. Q. That definitely helps. You recently started a publishing imprint, yes? Tell me a bit about why you started that, and how authors can find you. A. I really started it because I wanted to help other people who are starting out but don’t know the publishing ropes as well as help other moms who are home and want to make more money. They can find me at sweetheartbooks.com. We take adult and YA submissions. I have 2 authors working with me and they are amazing. I’m actually looking for a YA author if anyone wants to submit. Q. And you also have an ads course. I’ve enjoyed learning from that, but it’s an always shifting market. What is your advice to someone who wants to level up their advertising? A. I would say join groups like 20booksto50k or The Writing Gals. People are more than willing to share what’s working for them. Really, I think it’s writing and staying engaged with your readers. It’s been my goal to find new readers so even though I spend money on ads, I know I bringing more people into my brand so when I publish next year, I have more and more readers to buy. Q. What trends have you seen in the past two years? What genre do you think will stay strong this year? A. I follow spicy really closely and see what is selling well there. Then I find a way to write it in sweet. There are a lot of tropes out there that are selling well. Find one you enjoy and write in that. Q. Yeah, I get you. I have learned a lot looking at bestsellers in general. Someone asked in my author’s group… what is your workhorse or best seller– your backlist, or new offerings? A. In terms of genre, I can’t really talk to other ones besides Contemporary romance in Adult and YA because I don’t write in anything else. Right now, my new release but I’m working to change that. I think the best advice I would give a new author is to write interconnecting books in a series. That way people want to read the next book because they’ve already been immersed in the world. Q. You recently said you saw the power of interconnecting stories in your books, where you had readers begging to read the next book. A. Yes! It’s been crazy. I’m now stockpiling that series and rapidly releasing it so I don’t have to market as much. I’m doing that with my new YA series as well. Q. What per cent of your monthly income would you say you earmark towards marketing / advertising? A. It depends on if I have a new release but about 50%. Some of those ads are to grow my NL. Some are to keep books high (new releases) and the rest are to keep back list from slipping. Q. You have cultivated a great following on The Writing Gals (7k members, I believe as of yesterday) and your podcast. Any words of wisdom for authors who wish to build their platform similarly? A. It’s crazy that we’ve grown that fast. Q. When did you ladies start out? I want to mention The Writing Gals also include Victorine Lieske, Judy Corry, and Michelle Pennington. A. We started in Feb/March 2018, I believe. Q. Wow, yes, that is amazing growth. A. And started small. But if Facebook thinks that people like your group, they’ll promote you. Q. I could keep asking you tons more questions, but our time’s up. This has been so great. I really appreciate your taking the time to share. I have one last question….What do you think is the greatest factor from your upbringing or background that has led you to the success you have now as an author? A. I don’t give up. I work until I master something. I never start out amazing at anything, but I’ll keep working until I master it. I think that’s the best thing anyone could do. Learn. Q. Is that something you saw from your parents? Or in your family dynamics? Oops that was more than one question. A. I think it’s just a personality trait? Q. Well, you have an awesome personality! Thanks again, so much. Find Anne-Marie Meyer’s books here. Check out her website and connect with her on Facebook. To learn more about how to write and publish fast for profit, check out my how-to book Rapid Release.